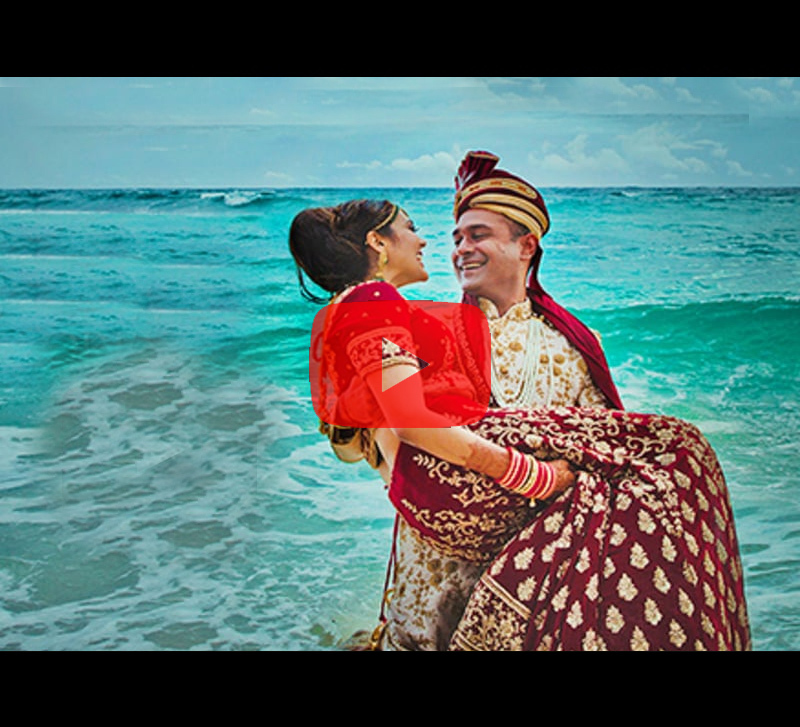 Blue waters, beach babes, a beautiful bride, a gregarious groom and a gorgeous gala - This wedding film shot in Muscat was packed with memorable frames and beautiful moments. 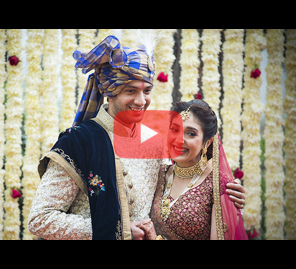 A heady mix of natural beauty, luxurious hospitality, fun, family and fabulousity – Megha and Rahul’s wedding is the quintessential grand Indian wedding and the wedding film puts it all into perfect perspective. A drone swoops you into the frame, over the blue ocean, towards a crown of mountains, over the Al Bustan Palace hotel. 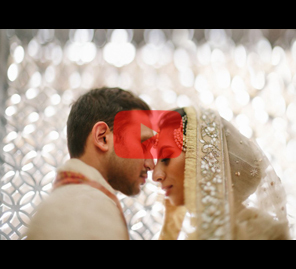 WeddingSutra Favorite - CineLove Productions then lingers over stunning portions of the Al Bustan Palace, follows it with a montage of shots capturing the families coming together, preparing for the big day, the gorgeous outdoor spaces and the luxe indoor spaces of the magnificent property. Quickly introducing you to the couple and their cheeky camaraderie, the film creates a compelling narrative. Whether it’s the two of them monkeying around on their yacht or smearing haldi on each others’ faces, a bevy of beauties splashing in the pool, dance performances and speeches - the video incorporates a variety of moods and memories. 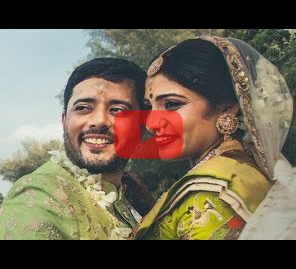 With the mood and merrymaking vibe of a fun musical, Rahul and Megha’s wedding video is all about romance, rhythm, and remarkable cinematography.